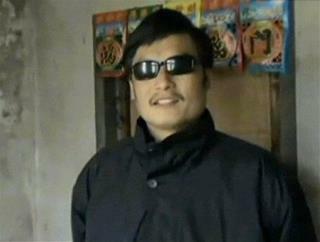 (Newser) – Shortly after China learned that blind activist Chen Guangcheng had escaped from house arrest, police muscled their way into his oldest brother's home, the brother says. Now, Chen Guangfu is suing police and the local government for "scaling the walls of his home and for wrecking his home," he tells Reuters, calling the actions unlawful. While the suit could again call international attention to human rights issues in China, it may not gain much legal ground: China's courts hardly ever take on cases brought by dissidents and their families, Reuters notes. This guy an Idiot or what?